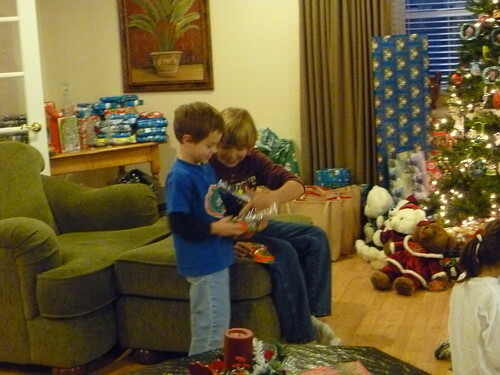 This past weekend we had two of our Christmas’ with Will’s family. On Friday night we had Christmas with his mom and brothers and on Saturday we had Christmas with his mom’s extended family. It was a nice time both days and lots of memories were made. Here are a few pictures of the weekend. 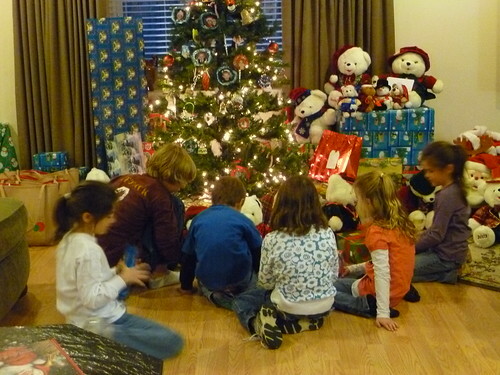 The night started with the kids begging to open their presents before dinner. 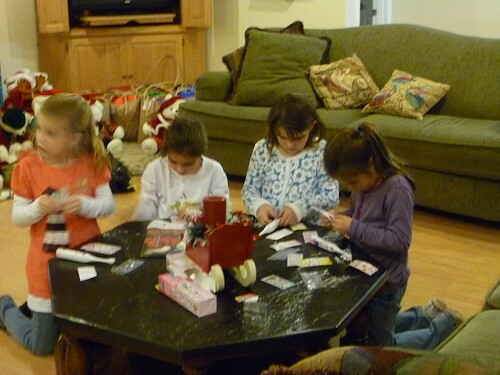 We made them wait and they were finally allowed to open presents after dinner. 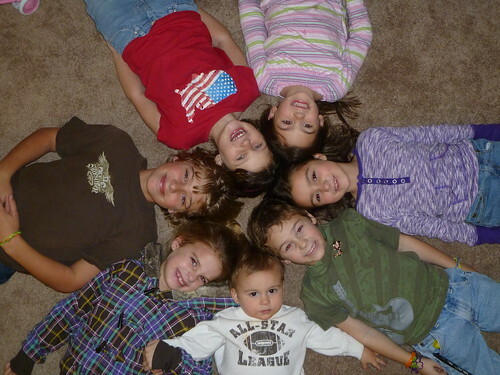 Here are all the kids in one of their photos that Will forces them all to pose for each year. They suffer through and are good sports to put up with Will and Angela trying to get just the right picture each year. 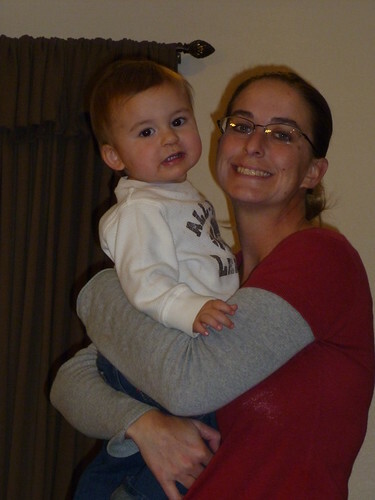 Here is Lala (Angela) with Luke. He seems to be the only nephew (or niece for that matter) that doesn’t run from her. ;) We love you Lala! 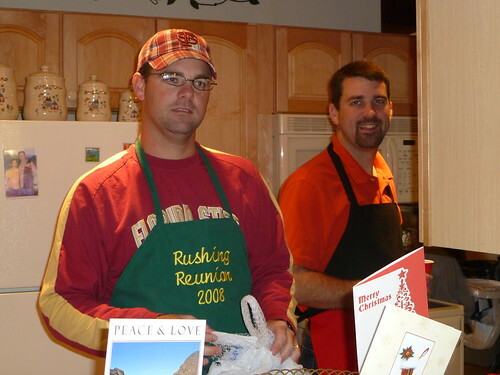 Steve fried turkey’s for Saturday’s gathering with the assistance of Will. Angela and I did crafts for the other kids which left no one to take care of Luke and he found the tray of chocolate chip cookies and decided to help himself to some cookies. 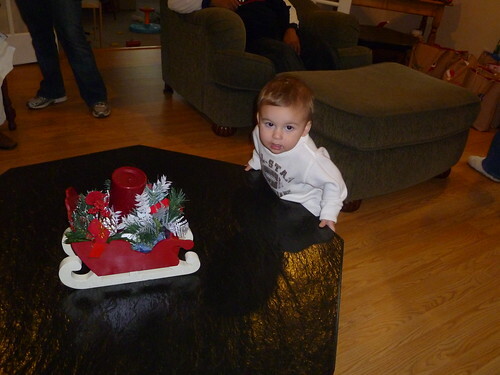 Luke spent a lot of time trying to get to that sled in the middle of that table. 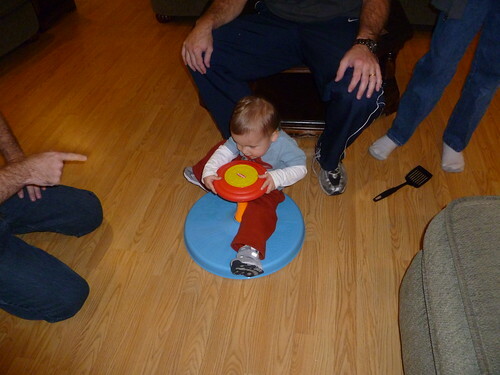 Surprisingly Luke did pretty good on his new sit and spin. He is already a daredevil trying to stand on it and do tricks. 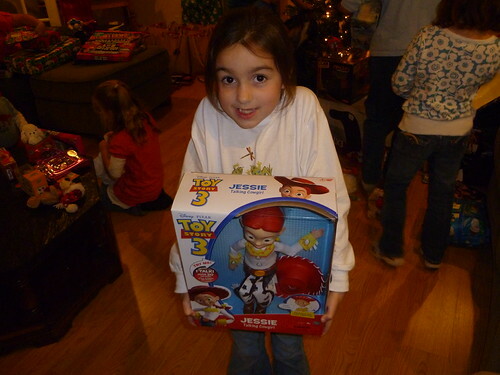 Isabelle loves her new talking Jessie doll. 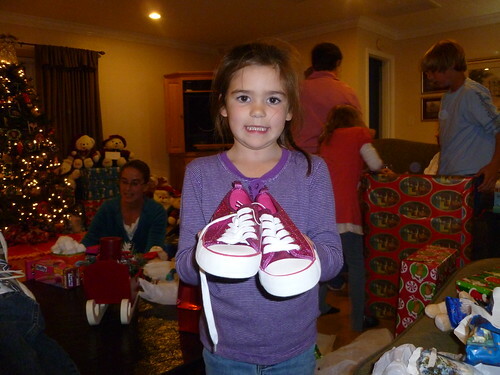 Anna loves her new sparkle shoes. Here are the girls decorating their toothbrushes. These were a hit this year. Here are the boys figuring something out. 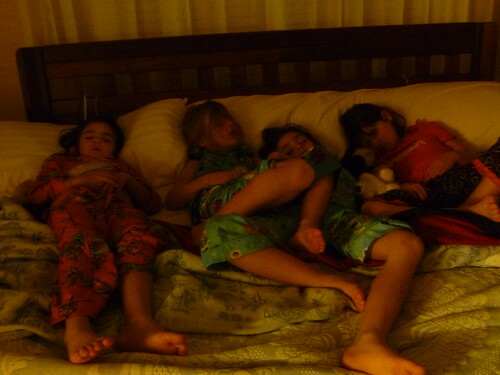 And here are the girls sleeping in Grandma’s bed Friday night. If you’ll notice there doesn’t seem to be any room left for Grandma. They were some tired little girls. A good time was had by all and they can’t wait for next year. Thanks Grandma for all the good times!